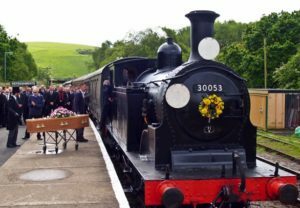 A long-term volunteer and employee of Swanage Railway who suddenly passed away at work was given an apt send-off – by rail. Frank Mead commuted every day from his home in Salisbury to the steam railway where he was employed as a locomotive fitter and was the longest serving staff member. 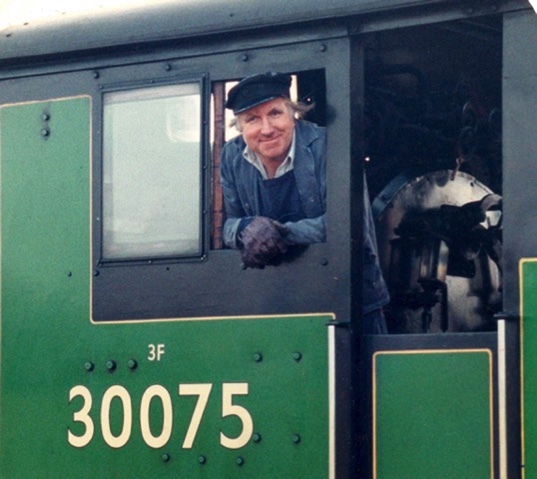 As a tribute to Frank, who died aged 71, it was decided that his coffin would be carried from Swanage to Norden on a locomotive he had worked on, a Drummond M7. Staff lined the platform to see off their colleague who had started volunteering in the 1980s. After the train finished its trip, the coffin was taken off and driven to Salisbury where the funeral was held with many mourners attending. Staff from from James Smith Funeral Directors in Swanage, part of the Douch Family Funeral Directors group, made the arrangements. Derek Trotter, from James Smith, said: “This is not the first funeral we’ve organised with the railway for one of their staff or volunteers. Frank’s brother Philip said: “Frank had an honours degree in physics plus two other degrees, but he didn’t want a life of academia and went on to run a successful painting and decorating business. “He worked at many different steam railways within the UK and became an expert on locomotives and spent a long time with Swanage Railway. Matt Green, general manager of the railway, said: “Frank was very popular and never missed a day. “He commuted from Salisbury and used to get here early to avoid the traffic and then he’d spend time on his allotment when he got home in the afternoon. “He had such vast knowledge and was a rock to so many people. He was quite a character and will be missed by many. Learn more about our funeral services in Dorset and our range of funeral services to ensure your loved one gets the send-off they deserve. Get in touch with your local branch to find out more.